What’s Your Top 3 to 5? Mrs.Engel January 23, 2017 January 23, 2017 Jedi, Jedi Pup, Jedi training, What do you want to build? through knowledge and increasing peace. Be one with the Force. 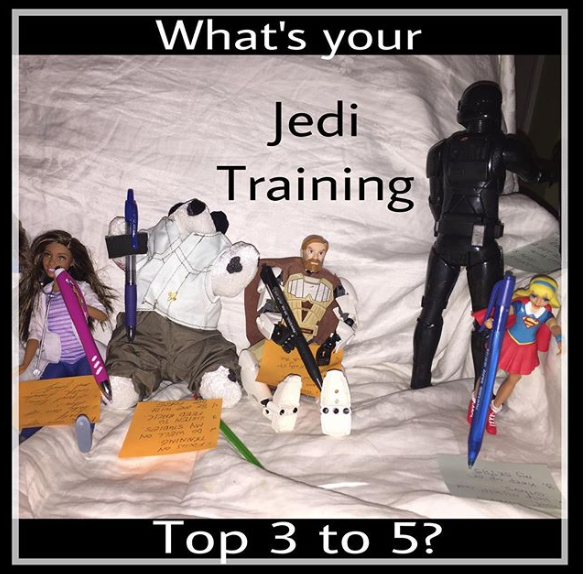 Jedi, Jedi Pup, Jedi training, priorities, top 3 to 5, What do you want to build?, what's important? Next Is Your Schedule Balanced?